Should Kansas Jump on the Luxury Suite Bandwagon? 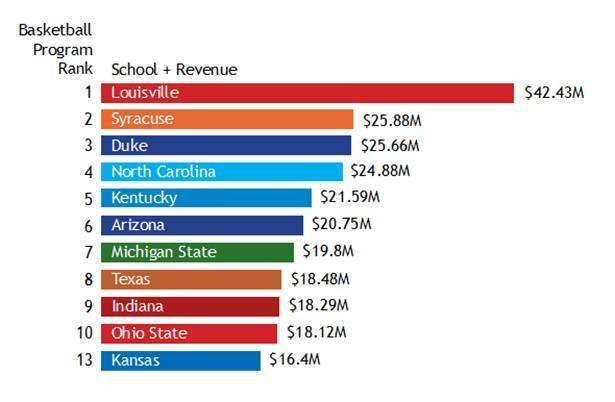 In 2012, Louisville’s basketball program brought in more than $42.4 million in revenue. 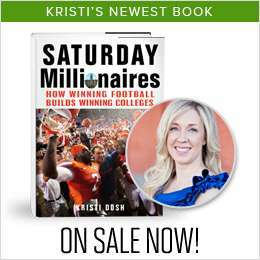 Kristi Dosh, founder of BusinessofCollegeSports.com and author of a book on the business of college football, Saturday Millionaires, attributes the high revenue to luxury suites at Louisville’s KFC Yum! Center. Louisville is just one school taking advantage of revenue from luxury suites. Syracuse’s Carrier Dome brings in millions to the program, and Kentucky, Duke and North Carolina are making arrangements to add suites to their historic arenas. The KFC Yum! Center is home to 72 luxury suites at $85,000 to $92,000 a piece. They generate more than $6 million in revenue. That’s just for rent. Tickets, donations, fees, food and drinks come with an additional cost. Louisville attaches donations ranging from $250 to $2,500 to the rights of season tickets and that’s not including the price of the actual ticket. “Adding those suites gives them the ability to tack on the annual fee that is the right to purchase fee on the suite and that is where you make the money,” Dosh said. The basketball program isn’t the only benefactor. The revenue from luxury suites goes into the general athletic fund that benefits other Louisville sports. While Louisville is leading the pack, basketball-rich Kentucky, Duke and North Carolina are in different stages of adding suites to their historic arenas. Kentucky released renovation plans during the summer to add suites to Rupp Arena, while Duke is raising money to add bunker suites in place of old basketball offices. Cameron Indoor doesn’t have the space newer facilities have, and they’re planning the bunker suites so they don’t lose thousands of seats in the bowl area that bring in high donations. In February, North Carolina’s athletic director Bubba Cunningham said he would be interested in adding luxury suites but recently there have been talks of building a completely new arena. The University of Kansas’ Allen Fieldhouse has been home to five national championship teams and dozens of conference titles. Although Kansas basketball has a 200-game sellout streak dating back to the 2001-02 season, the Jayhawks’ revenues are ranked No. 13 in the country at $16.4 million. Allen Fieldhouse holds 16,300 fans with little room for luxury suites. Greg Gurley, director of development for KU’s Williams Fund, a fundraising arm of the athletics department, said Kansas has the high demand to fill the suites but the renovations could ruin the history of Allen Fieldhouse. 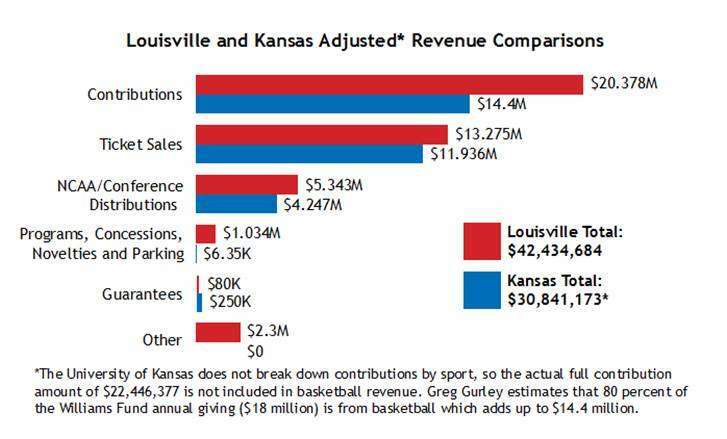 Kansas is in a struggle between reaping the rewards of the luxury suite boom and losing valuable, reasonably-priced tickets for the average fan. Gurley said at this time there haven’t been any serious discussions to add luxury suites to Allen Fieldhouse. Martin Haynes, an architect at 360 Architecture in Kansas City, was the designer who proposed the bunker suite plan for Duke based on a study he did years ago. Haynes said Kansas could only add suites to the upper bowl area on the North side of Allen Fieldhouse between the parking garage and the arena. Allen Fieldhouse is home to one of the best home court advantages in the country because of how close students are to the court. Gurley, who also played at Kansas from 1992-95, said adding suites would ruin this atmosphere. “That’s why all of the media people that come to Lawrence, it would be hard pressed to find anybody, even if they were a fan of another school, to not feel like Allen Fieldhouse is the coolest or one of the coolest places in the country to watch a basketball game,” Gurley said. While the rest of the basketball “Blue Bloods” renovate their stadiums to bring in millions of dollars, Kansas fans will have historic Allen Fieldhouse to enjoy for quite a bit longer. “I hope Allen Fieldhouse is there for 100 more years, but that’s just me,” Gurley said. Victoria is a senior at the University of Kansas majoring in journalism with a focus on broadcasting. To see more of her recent work, visit her website: www.victoriabaldwin.wordpress.com. What is FSU’s National Championship Really Worth? Under an agreement with the city, the Magic keep the revenue from the sale of naming rights, luxury suites and advertising in lieu of an annual payment to the city of $1.75 million, an amount that increases 3 percent a year.